It is estimated that over 3,000 people die in road crashes each year in California and approximately 200,000 people are injured or disabled due to being involved in a car accident. The majority of such accidents are caused by negligent drivers. With the emergence of the ridesharing services, such as Uber and Lyft, it is expected that the number of motor vehicle accidents resulting in injuries and death will only increase. California is one of the most populous states in the United States with a significant number of tourists visiting the state every year. Therefore, chances of being involved in a car accident caused by a negligent driver are unfortunately very high in California. After suffering a serious injury in a motor vehicle accident, victims are advised to strongly consider consulting an experienced personal injury attorney. Often, accident victims make the mistake of thinking that the insurance companies, even their own insurance companies, will help them understand and navigate the claim process. However, the insurance companies have one and only one goal- to save money for their companies, not your well-being. They will often undermine the severity of the victims’ injuries and will persuade the victims to settle for the most minimal amount possible. Without having an experienced personal injury attorney on your side, you risk the chance of being taken advantage of by the insurance companies. Hiring an experienced personal injury attorney will not only level the playing field, but will allow you to have a dedicated advocate on your side who has the knowledge, experience, and determination to fight tirelessly until your rights and interested have been fully met. An attorney will have only your interests in mind, be it during the negotiations with insurance companies or in a courtroom. At the very least, you should have your case reviewed by an attorney before you make any decisions. WHAT DOES THE LAW OFFICE OF ALYONA MOLIBOGA OFFER ITS CLIENTS? At the Law Office of Alyona Moliboga, we handle a variety of personal injury matters and know how to handle the potential issues that come with each situation and personally deal with medical providers, debt collectors, auto insurance adjusters, and lien holders. 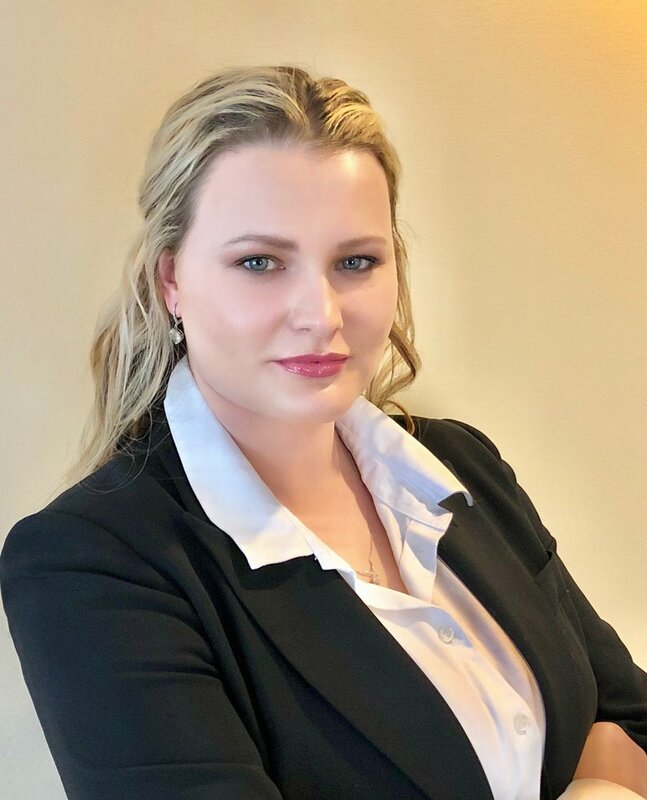 In addition, earlier in her career, Ms. Moliboga represented the insurance companies in the variety of personal injury matters and has the first-hand knowledge of the tactics and approaches used by the insurance companies when it comes to evaluating and defending a claim. This experience allows Ms. Moliboga to successfully navigate the claim process and obtain the highest recovery possible for her clients. In addition, we will perform a thorough investigation of the accident itself, interview all potential witnesses, gather the necessary documents, determine all liable parties, hire the necessary experts, and develop a case against the negligent driver to get you the compensation you deserve. In a situation where the responsible driver is underinsured or is uninsured, we will bring a case against your own insurance company to provide or supplement the recovery. We have the knowledge, skills, and experience to stand up to the big insurance companies and are not afraid to take a case to trial if that becomes necessary. Finally, we pride ourselves on providing the necessary emotional support and guidance to our clients throughout every step of the way. Our clients’ interests and goals are our main priority and we truly value the relationship we build with every single client. We are committed to keeping our clients informed throughout the entire course of the case and make it our priority to be fully accessible to our clients whenever they need to reach us. Every case, no matter how small or large, is important to us and receives our full attention, dedication, and aggressive representation. We believe that every client is important and deserves the best representation from an attorney who is truly committed to the case and the clients’ best interests. We offer free consultations and do not collect any payment unless we win your case. Our office handles accidents involving cars, bicycles, motorcycles, trucks, and pedestrian accidents. If you or your loved one has been injured in a motor vehicle accident due to the negligence of another driver, please contact our office for a free face-to-face consultation as soon as possible. The information from this site is not, and is not intended to be, legal advice. You should consult an attorney for advice regarding your individual situation. The use of this site or this form for communication with the firm does not establish an attorney-client relationship. Confidential or time-sensitive information should not be sent through this form.